The Homeless Film Festival was organised by Donkey Stone Films. 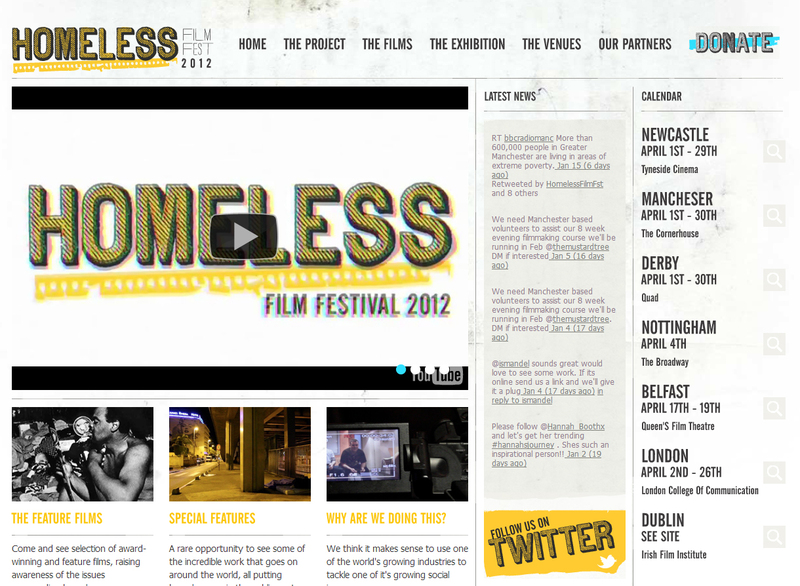 The Homeless Film Festival is a centralised celebration of the positive creative work achieved towards eradicating homelessness worldwide. A project from the team at Donkey Stone, they providing a platform for homeless people to tell their stories through a series of high quality short films and features, whilst raising awareness by putting the issue of homelessness firmly in the media spotlight.